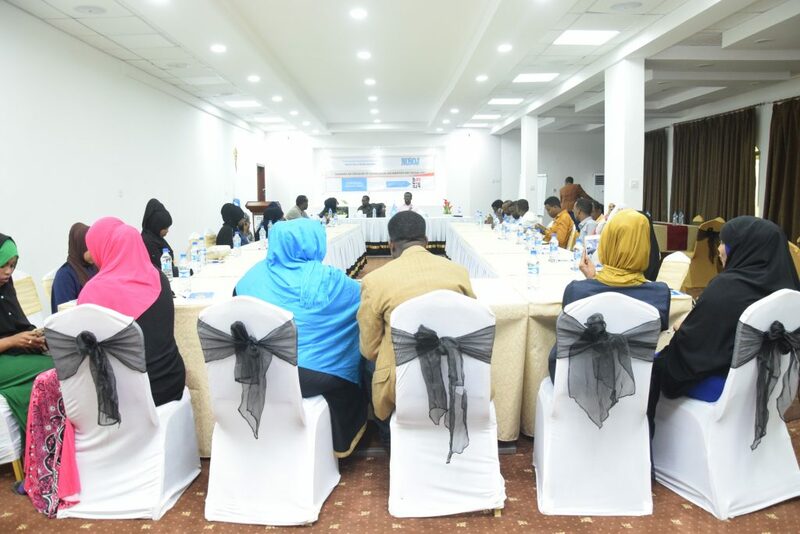 The National Union of Somali Journalists (NUSOJ) today condemned in the strongest terms the massive truck bombing that occurred in Mogadishu, Somalia, on Saturday, 14 October 2017, causing hundreds of deaths and injuries, including journalists. Freelance video journalist Ali Nur Siad-Ahmed was killed in Saturday’s savage attack which targeted one of Mogadishu’s busies intersection – KM5. Journalists Abdulkadir Mohamed Abdulle of Voice of America (VOA), Mohamed Omar Bakay of Goobjoog Radio and Abdullahi Osman of Mandeeq Radio as well as freelance journalists Abdiqani Ali Adan and Ahmed Abdi Hadi were wounded. 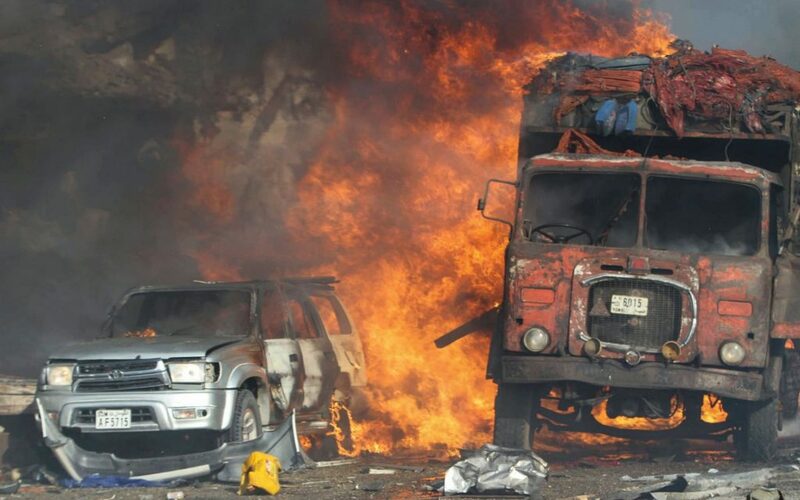 The journalists, who were on duty to gather news when the attack happened, are among the innocent civilians who were caught up in the huge bombing, which is Somalia’s deadliest and powerful single attack, sending towering clouds of black smoke into the sky. “We are shocked by the unprecedented scale and brutality of this gruesome bombing. Such abominable crime became the reason for journalists and innocent civilians to be killed and wounded. 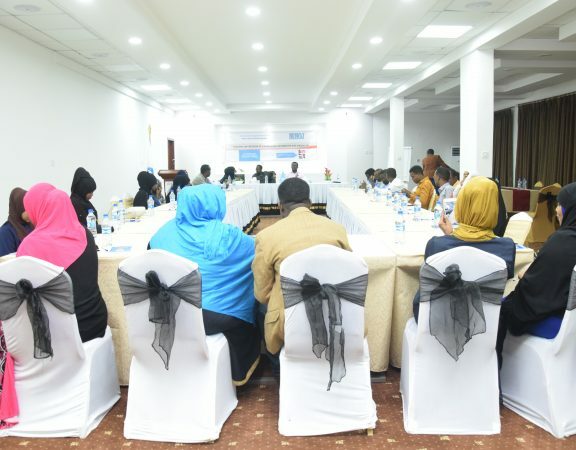 We express our deep grief and anguish over the loss of precious human lives, including the death of Ali Nur Siad-Ahmed” said Omar Faruk Osman, NUSOJ Secretary General. “Our deepest sympathy goes out to wounded journalists and wish them speedy recovery”. Flattering concrete buildings and setting vehicles on fire, the terrific explosion forced Goobjoog Radio and Ciyaaraha FM – based near KM5 intersection – to temporarily suspend broadcasting after both stations were damaged. The blast also damaged NUSOJ offices which is approximately 400 miters away from blast site, shattering windows, blowing doors off their hinges and destroying equipment. 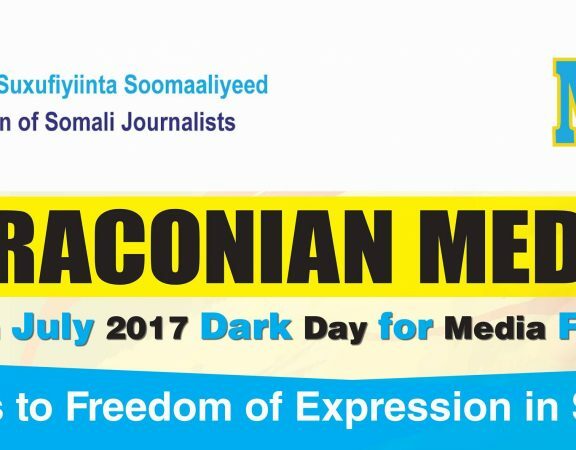 Ali Nur Siad-Ahmed, 31, is the second journalist to be killed in this year in Somalia after Beledweyne-based journalist Abdullahi Osman Moallim died a month before on 13 September. The death of the two journalists was caused by explosion carried out by extremists group Al-Shabaab. Siad-Ahmed by wife and two children. 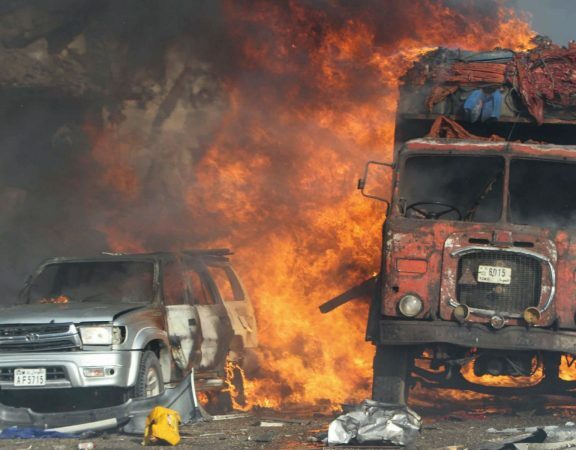 The death toll from the powerful explosion has increased to at least 276 and some 300 injured. And the numbers are expected to rise. NUSOJ calls on the Federal government to respond meaningfully to these attacks and to ensure by all reasonable means the protection of the people from further such atrocities.